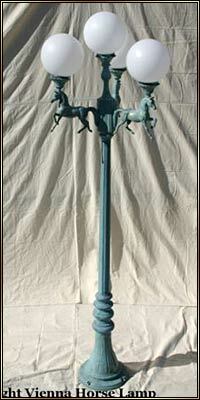 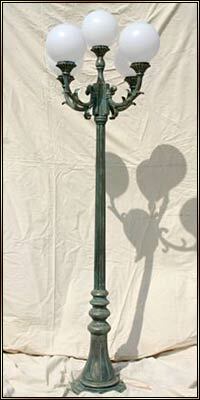 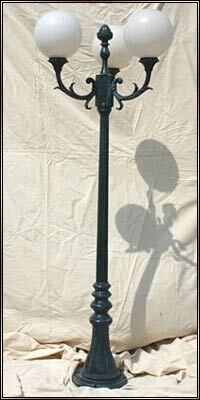 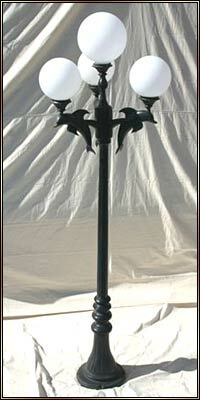 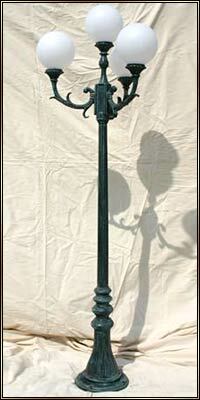 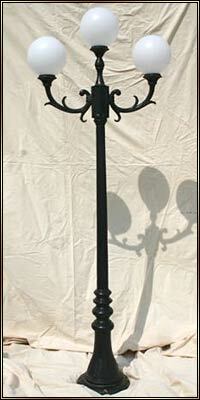 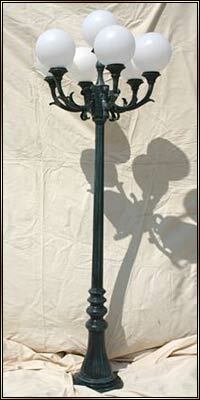 The Vienna style street lamp is a distinctive style that we've replicated with our own models offered for purchase. 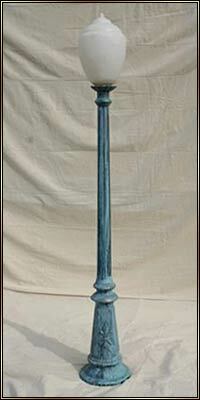 De Fleur single @ 5 ft., 10 in. 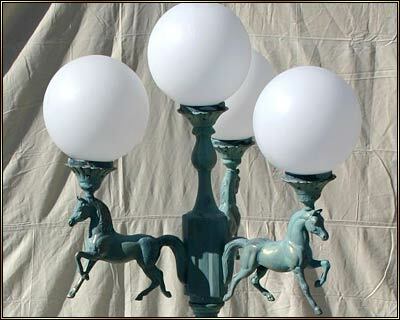 3 arm, 4 globe w/ Dolphin arms @ 8 ft.
3 arm, 4 globe w/ Horse arms @ 8 ft.